Bringing together the charm and beauty of outdoor furniture, this outdoor wood armchair makes your outdoor dreams a reality. 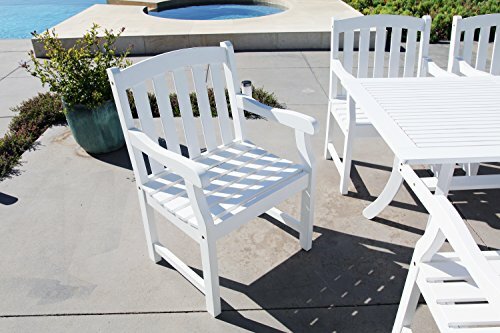 It has been designed for patio, garden, or backyard with comfortable contoured seat and back. This armchair will blend with other décor to create a luxurious style. In Acacia hardwood, grown in 100% well managed forests, certified by the FSC (Forest Stewardship Council), which is not only wear- and tear-resistant, water repellent, weather- and rot-resistant, but also insect-resistant - the product will last for years to come. If you have any questions about this product by Vifah, contact us by completing and submitting the form below. If you are looking for a specif part number, please include it with your message.